If you are in Florida, Maryland or Pennsylvania and you are looking for a trusted car dealership, then you should visit this site. 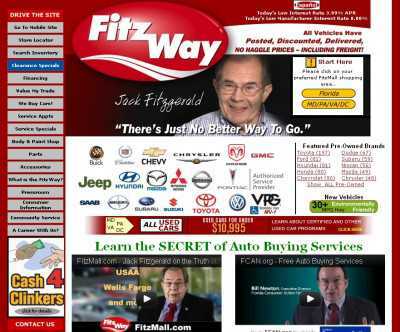 FitzMall.com belongs to Fitzgerald Auto Malls, one of the most reputable car dealers in the Mid-Atlantic region of the US. 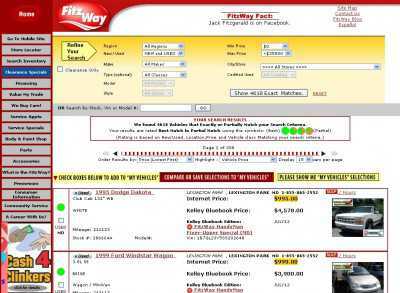 On this site, you can check the company’s catalog, and browse through all the vehicles that are available for sale by brand, year and price. And you can also get an estimation of how much your own car is worth, so that selling your own vehicle is really a piece of cake. If the amount that the company is ready to pay you in exchange for your vehicle is indeed OK, then it’s just a matter of driving to the closest location to complete the transaction (a store locator is provided on this part of the site). And Fitzgerald Auto Malls also sells spare parts. If you need to get your vehicle repaired then you’ll be able to buy all the pieces you need here. And if you’re not that much of a mechanic yourself, then you can always take your car to the nearest Fitzgerald Auto Malls location, and have it fixed by expert hands. It’s just a question of arranging everything beforehand. For those who are interested, all the information that you can access on FitzMall.com is also available on the company’s mobile site. You’ll be able to browse through its used and new inventory, make service appointments and (generally) ensure that all your automotive needs are well-covered wherever you may be.